The exciting time I've been waiting for has finally arrived, fitting everything that's necessary back into the studio again! Thanks to a lot of hard work by me and my buddy George the walls and ceiling are painted, the floor has had a rudimentary wash (I'm debating sealing the slate at a later date), the new shelving units are fitted and installed, I've sorted the majority of my supplies into new lidded clear plastic boxes (you'd be proud of me Vinitha!) and tonight I'm putting everything necessary back into the space, note that phrase, everything necessary!!! 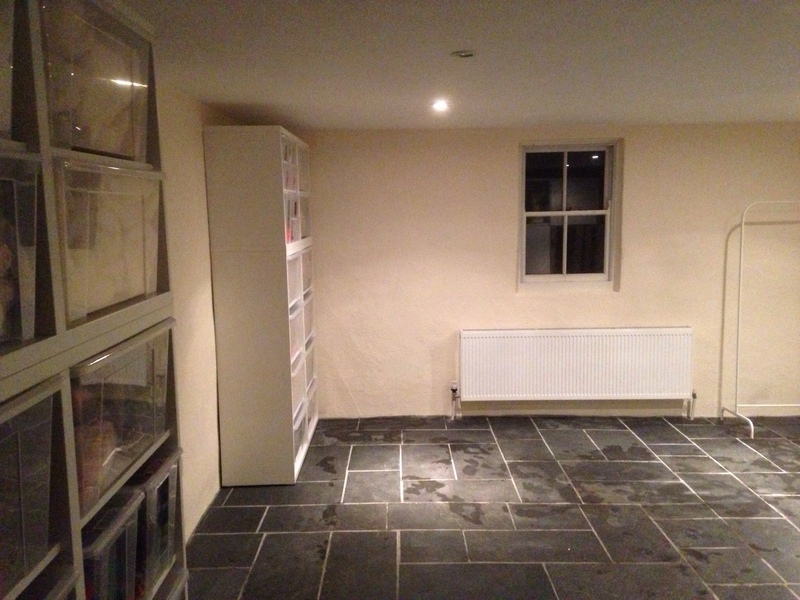 I'm determined not to fill it with items I really don't use on a regular basis, the garage is undergoing a revamp too so that'll be the area where essentials for less frequent use hang out from this time forwards. Two transformers also need to be replaced in the spot lights so this picture from earlier looking from the utility room into the studio does look dark, it'll give you a little idea of how clear the floor is now though, more pics when everything is installed again and I can say that the revamp has finally finished! 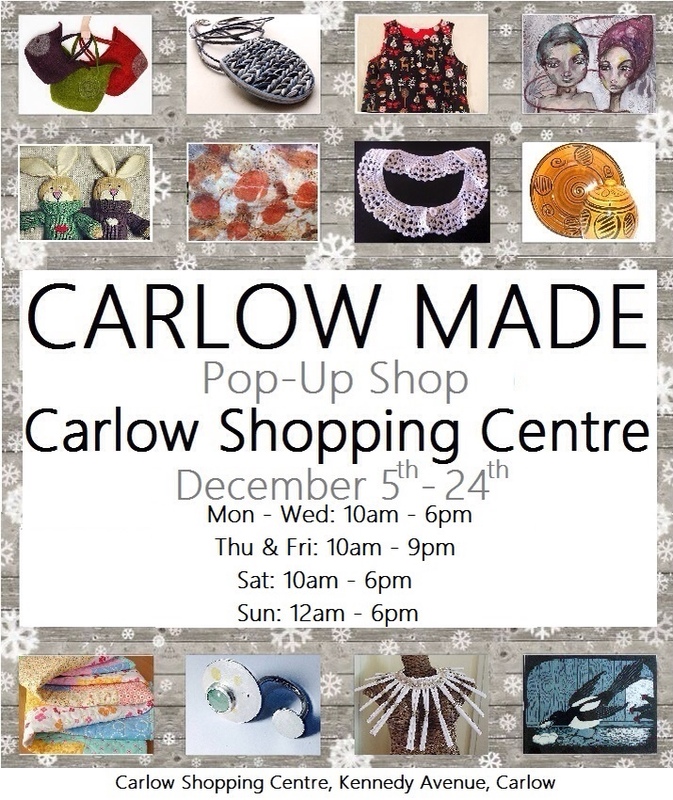 Tomorrow I'm collecting plinths and getting my space organised/installed for the Carlow Made Christmas pop up shop. I think that this is going to be an excellent retail opportunity for all of us, we've secured a marvellous space in the Carlow (Superquinn) Shopping Centre thanks to the efforts of Liga and Maria and the collection of artists and crafts people is both varied and of a consistent high quality. Do consider us when you're planning your Christmas presents, supporting local, working artisans really does keep money moving around in the local economy, it also means high quality, affordable, one off gifts! This entry was posted in pop up shop, studio de-clutter, studio organisation and tagged Carlow Made, pop up shop, Studio, studio revamp by Nicola. Bookmark the permalink. O.K., what have you done with my friend, Nicola? This is not her studio….Hers looks just like mine 😉 I’m sending the authorities over right now to check into this situation.